Are you feeling sluggish and achy? Has brain fog and moodiness become a way of life? A gentle and effective cleanse may be the answer. We live in a sea of toxins with over 80,000 chemicals added to our environment since the turn of the 20th century. Most of those chemicals have never been safety tested. The more toxicity of modern life increases, the more the demands to detoxify have increased. The real problem is that the body’s ability to detoxify has not kept pace. Our natural detox systems are overwhelmed and we have become increasingly toxic. More and more evidence is pointing to the fact that this toxicity makes it harder to lose weight. This occurs because our thyroid which controls our metabolism no longer functions optimally. Our liver becomes sluggish. 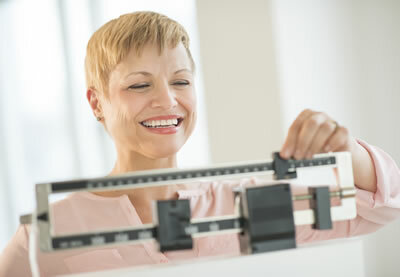 Our weight control hormones become unbalanced. And the little cellular furnaces that usually create energy in the body to burn calories break down. So what can we do? Reduce the toxic burden at least 2 times a year by going on a safe and effective cleanse. Review the questions in the sidebar at the right. What kind of benefits can you expect from the Clean and Lean program? What are the details of the Clean and Lean Program? The Clean & Lean Program is a scientifically designed program created to rid your body of harmful substances accumulated over years of poor nutrition and exposure to environmental toxins. The practice of detoxification has been around for centuries beginning with Hippocrates, who recommended fasting to improve health. Today the marketplace is full of detox diets that promise to help you lose weight, boost your energy levels, and help to create the fountain of youth. You need to be careful. Many popular detox diets, especially those that involve extreme low-calorie fasting, can rob the body of important nutrients which are vitally important to the detox process itself, and can place the body in starvation mode which actually slows your metabolism. Our program is a two week gentle cleansing diet based on whole foods and targeted supplements designed to provide you with all the nutrients needed to create the safe elimination of toxins. How does the Clean and Lean Program work? An effective detox or cleansing program is based on a couple of basic but important points: Reduce toxic exposure by eating a clean diet full of whole organically grown foods. Give the gastrointestinal tract a rest by avoiding certain allergenic foods as well as processed foods and consuming easy to digest nutritional shakes. Consume detoxifying foods and targeted supplements that provide the much needed nutrients to help support your liver to convert toxins into a form that is easily eliminated by the body. Designed with busy people in mind, the program makes it easy for virtually anyone to achieve better vitality, more energy, and a leaner, healthier body. Do you have achy muscles and joints? Do you need coffee, soda or sugar to get you going and keep you going? Do you suffer from gas, bloating and or other gut issues? Are you suffering from skin issues or allergies? Do you find yourself suffering from more colds and flus? “Working with Ruth has made a major difference for me.